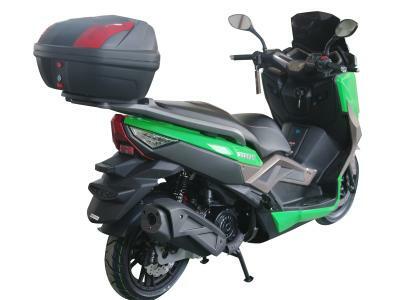 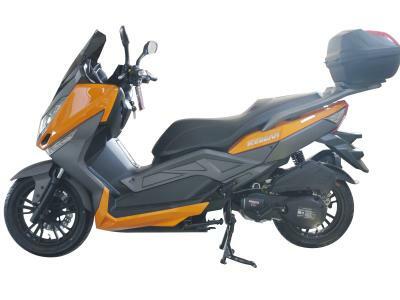 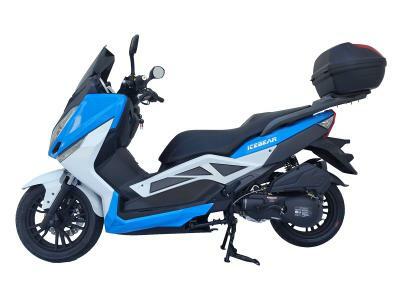 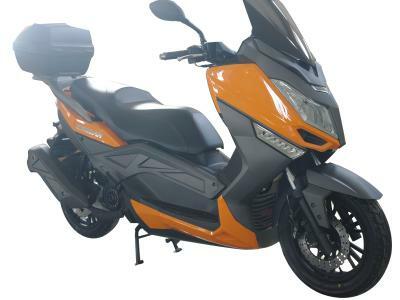 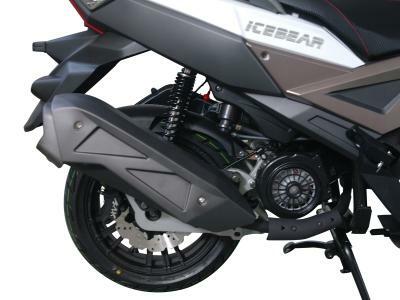 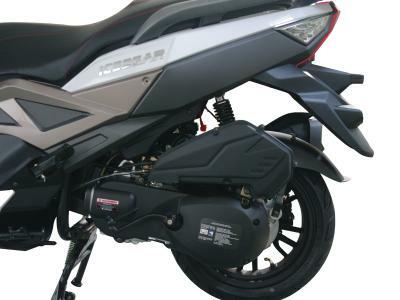 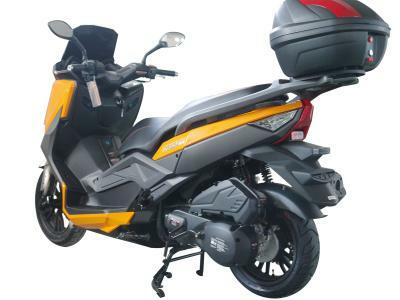 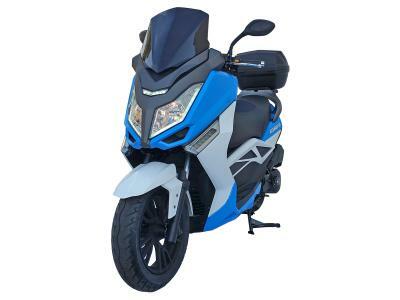 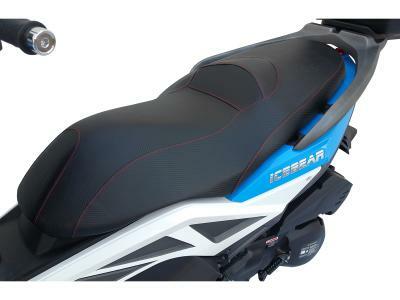 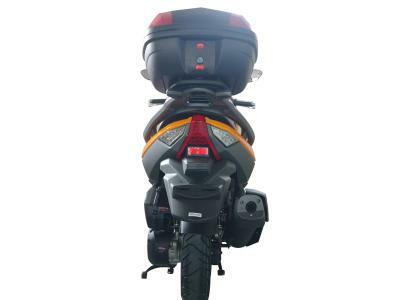 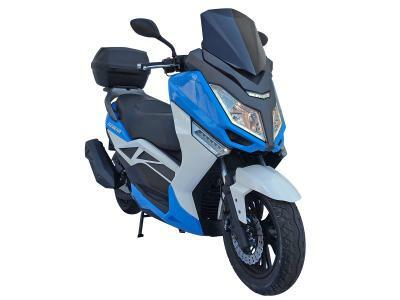 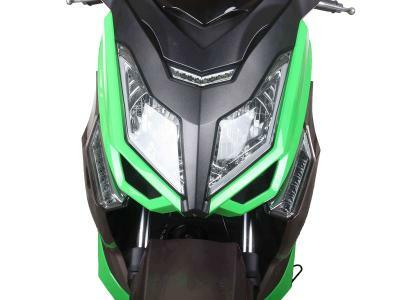 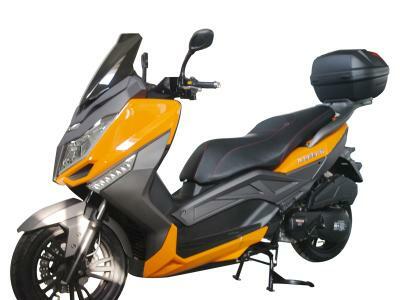 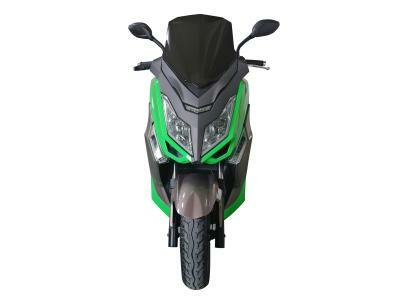 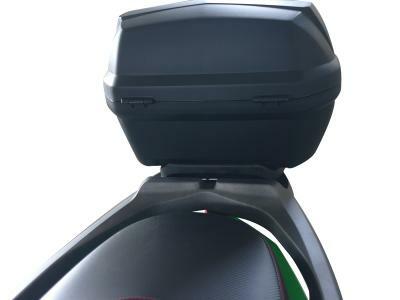 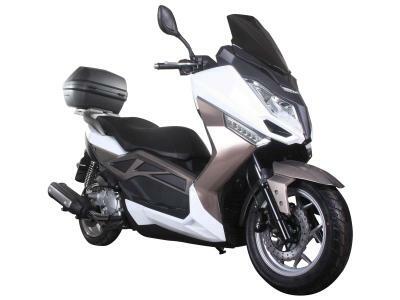 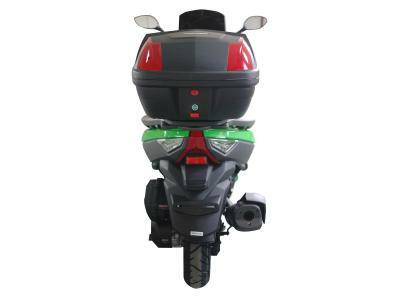 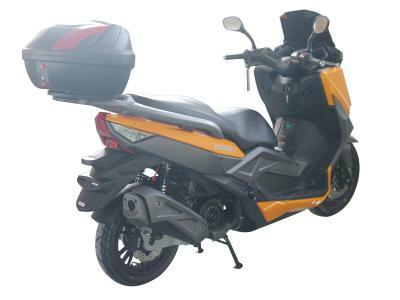 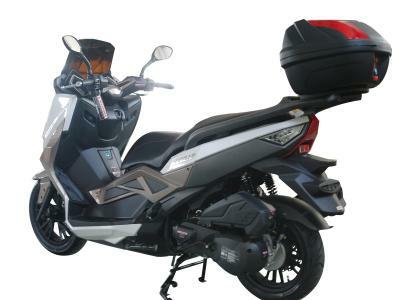 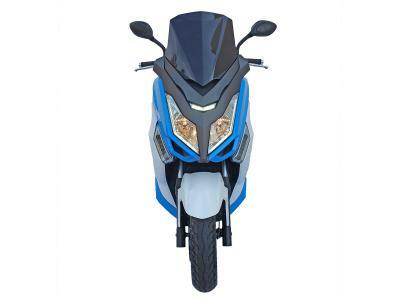 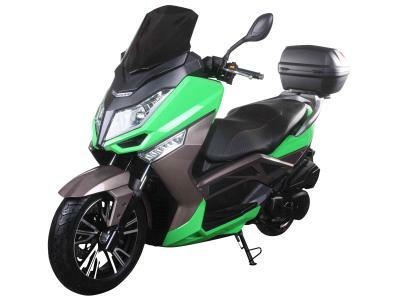 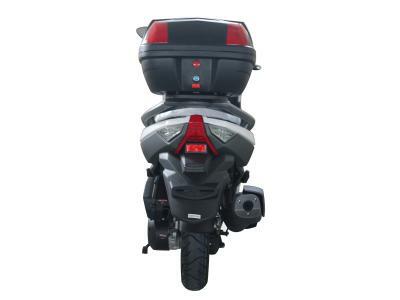 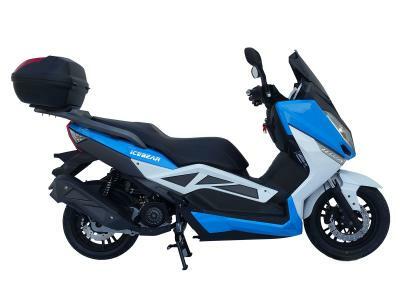 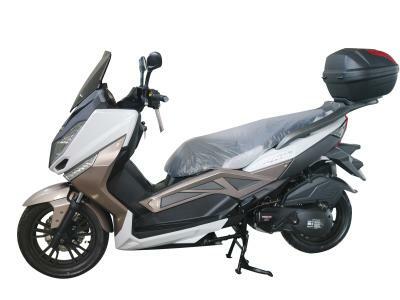 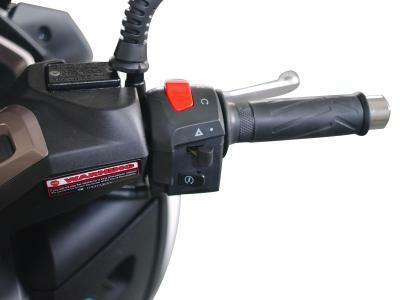 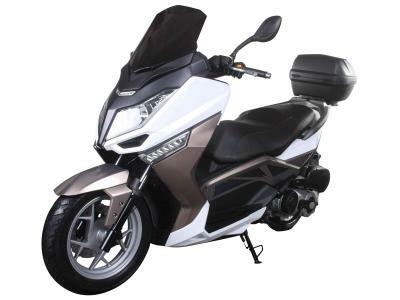 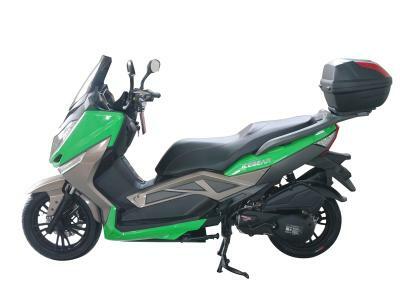 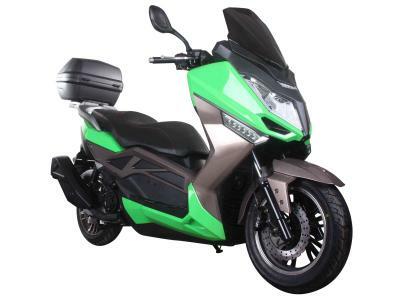 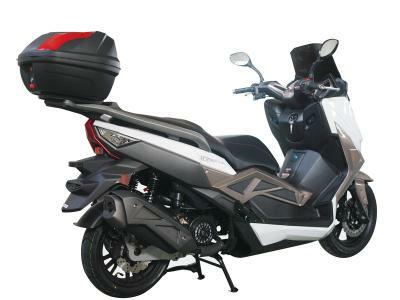 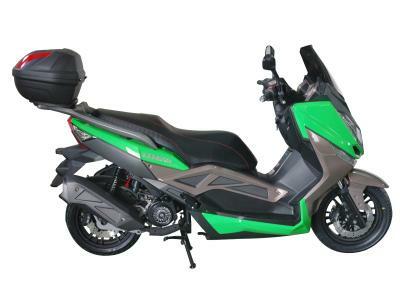 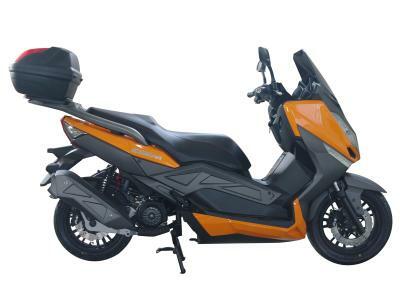 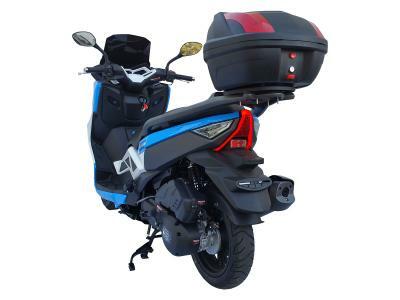 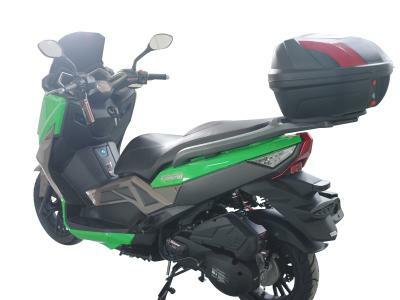 Shop for SCO143 150cc Scooter - Lowest Price, Great Customer Support, Free PDI, Safe and Trusted. 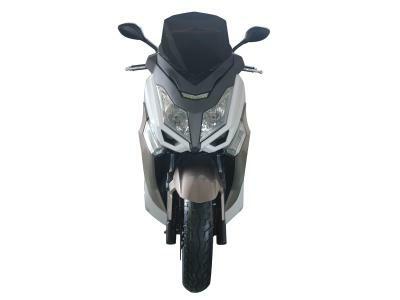 Automatic Transmission, Front /Rear Disc Brakes, 14"/13'' Wheels, Metallic Paint, Windsheild Included, Rear Trunk. 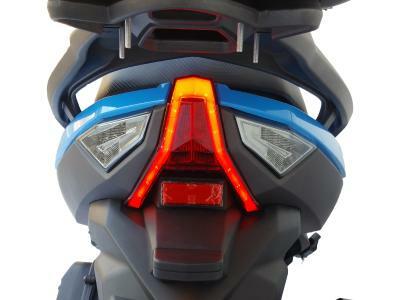 This model is not for sale in CA. 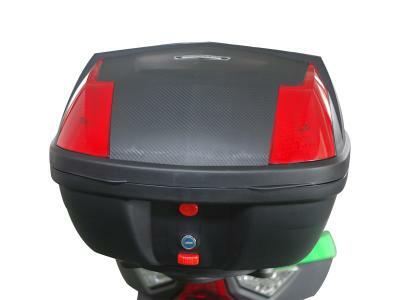 Large bright taillight with turn signals that provide great visibility for all traffic situations. 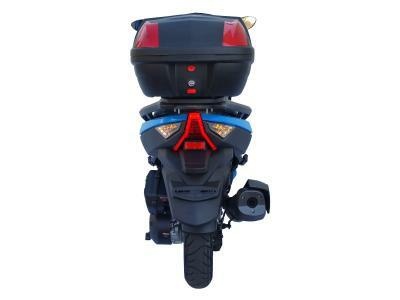 The stylish unique design perfectly fits the vehicle. 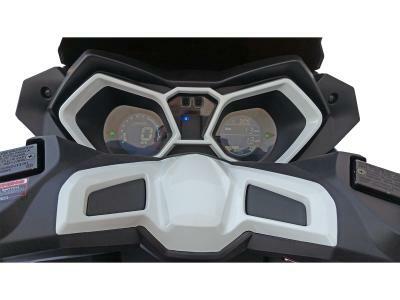 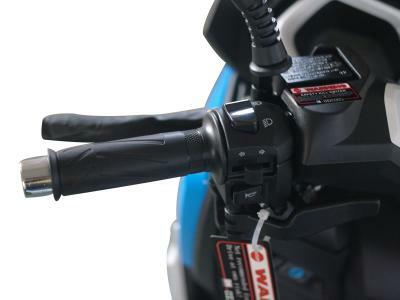 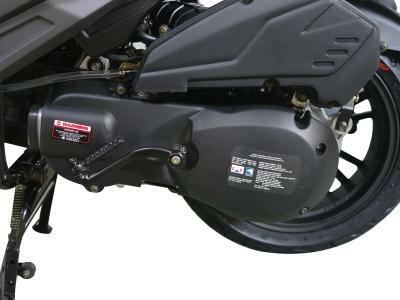 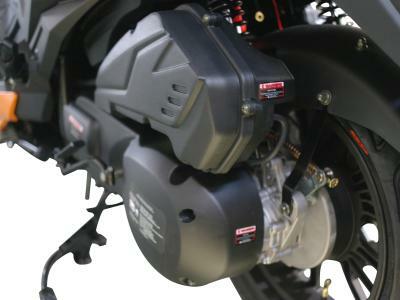 These headlights are bigger and provide light at angles that most mopeds cannot support. 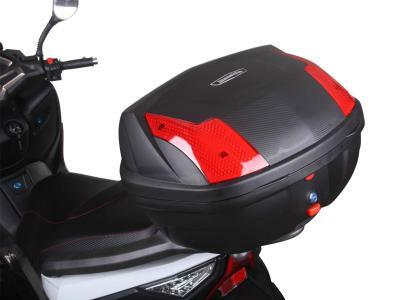 Transporting stuff has never been easier. 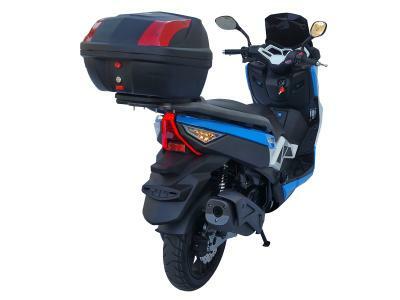 This lockable rear luggage trunk is great for carrying items and groceries with you securely from point A to point B in your travels. 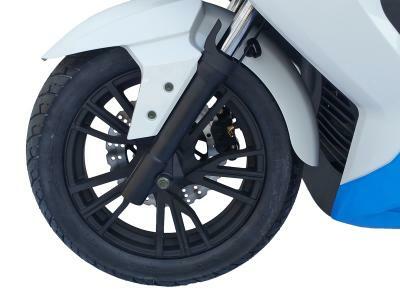 Big brake discs for front and rear ensure more grip with the ground. 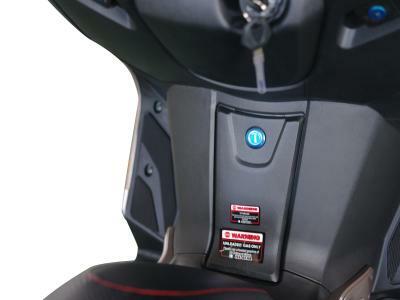 Start with push of a button. 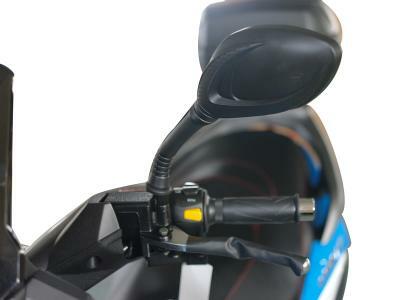 Electric start makes it easier in all kinds of driving conditions.